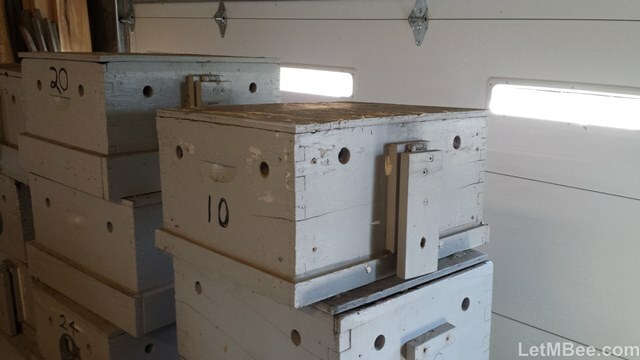 One of my yearly maintenance tasks is unloading swarm traps every Fall. Many of the bait combs can be used next Spring as long as you are proactive. 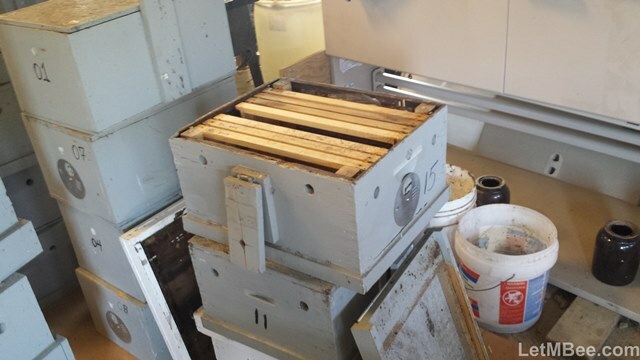 Old brood comb is the most valuable capital for my future in beekeeping. 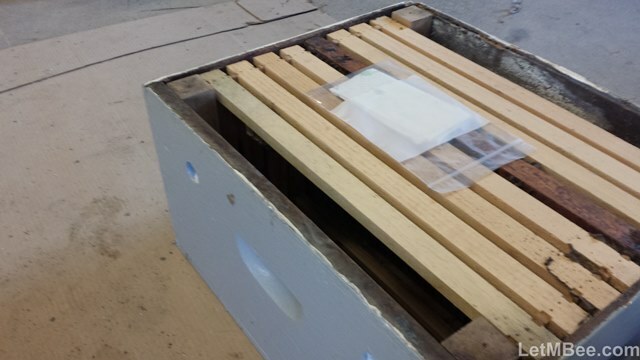 It is the key to sourcing hardy bees that are suited to my climate and regional weather WEIRD-ISMS. Traps give you an annual return on what is primarily a single investment of mostly TIME of construction. I was able to catch 20 swarms this summer, 15 of which are looking VERY good thus far standing a good chance for overwintering. A little maintenance now and these traps will be in service for many years into the future. First the screws holding the lid are removed. Look the screws over, if there is any chance that the heads will not work next year replace them. Nothing is worse than attempting to hive a swarm of bees and having dysfunctional screw heads. I know this from experience, so use 4 new screws if in doubt. Inspect the outside of the trap. Are there any holes, warping, deterioration, or other issue that must be remedied before next year? Does the thing need paint? I noticed that Trap18 has a rapidly deteriorating corner, and Trap19 has problems with split 2 x 2’s where the screws hold the top on. Trap15 has a split hanging board. I take note of this and will fix these issues over the winter when I get some time. Next get the lid off there. Be ready when you are doing this. In my area there are several species of insect besides bees that find a swarm trap A GREAT PLACE TO LIVE. I typically find earwigs, carpenter ants, some other kind of unidentified ant, Wood Roaches, Wax Moths/larvae, as well as a couple others. ALSO after all these years I finally had some WASPS! This is one reason to keep your traps “BEE-tight”. I noted when I removed Trap30 that there was a wasp departing from the entrance. I closed the door and made sure there were no other points of entry or exit, then threw it in the car. I’m glad they couldn’t get out. When I was cleaning the trap they were found in there dead along with their nest. I had a post back in the Spring about how I had never found a wasp nest in a trap and this year I HAD TWO! So much for knowing what’s going on. Both traps were in locations that had previously produced bees for me, but just wasps this year. Remove your lure (Zip-Lock with paper towel inside) and place them all together. I use the same ones over and over every year. Place all of these in a single large Zip-Lock and freeze for 48 hours. Then you can store them anywhere that is mouse proof. Just don’t break the seal on that bag. For some reason wax moths seem to like lure bags and if stored without care they are a mess the following year. Next take out your old bait comb. First off take a look at it. I have had some traps that leak during rain events causing the bait comb to mold. 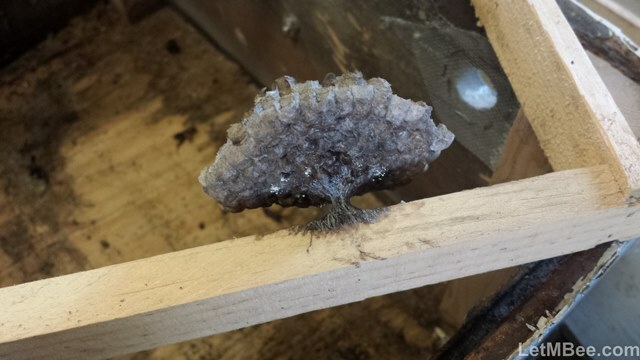 Usually there will be mold on other stuff inside the trap when this happens. If you find this put it down on your list of stuff to fix. Look the comb over carefully. Many times I can have a bait comb up all summer and never have moth’s attack them. Even if there is “some” moth damage I will reuse them. This year I culled 4 or 5 out of 40 just because they were pretty cruddy frames to begin with. The ones that you are going to keep need to be frozen in CONTRACTOR GRADE trash bags and stored in a rodent free location so you can use them next year. REMEMBER – they don’t have to be perfect or even look pretty, the most important factor is that they have the majority of both faces constructed in good usable worker comb. If they are a little wonky or have some drone comb on one or both sides IT’s OK. When a trap is occupied you want the queen to lay as many workers as possible as soon as she is ready. I even save them if they have a little mold on them. Bees will clean that up. Go with your gut when it comes to the judgement call of whether to keep or not to keep. 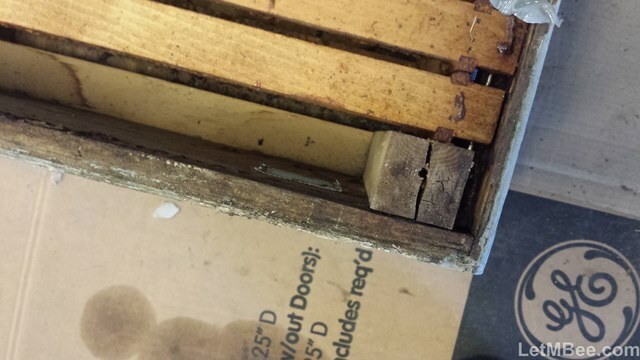 I typically leave the foundationless frames inside the traps as well as the screws. The lids are placed on top in preparation for loading next year. I store them in the granary just as described in previous years. It’s not heated and several times over the winter they will freeze hopefully killing any insects in there. I try to take a picture of every trap when doing this type of operation. Keep them on your computer as an aid in the event you forget to document a traps location. If one is lost in circulation finding a traps last known location with pictures has been helpful in the past. When you locate boxes with defects store them together in an accessible location so they are easily found when you have the time to work on them this winter. Here’s a link to a previous post with an important tip on storage. Got your traps in and dealt with yet? If NOT GET ON IT! The longer they are out there the shorter their life expectancy. 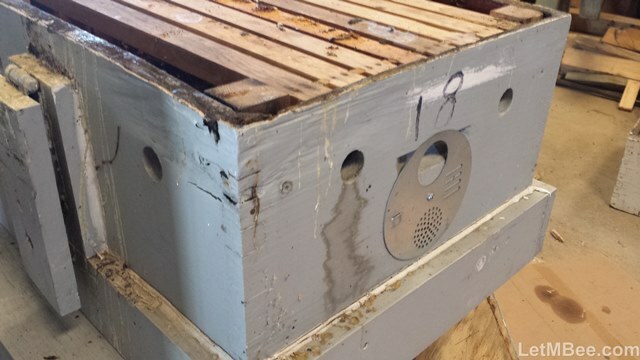 This entry was posted in Posts, Swarm Trapping and tagged bait hive, Indiana Beekeeping, swarm trap. Bookmark the permalink.